You know a few months back when I talked about how my favorite sweater had got a hole in it and how sad I was to see it go? I loved it's half-sleeve length, it's neutral color, and weight. I was so sad to see it go! I turned it into a lovely pillow, but there was a space missing in my wardrobe that needed to be filled. 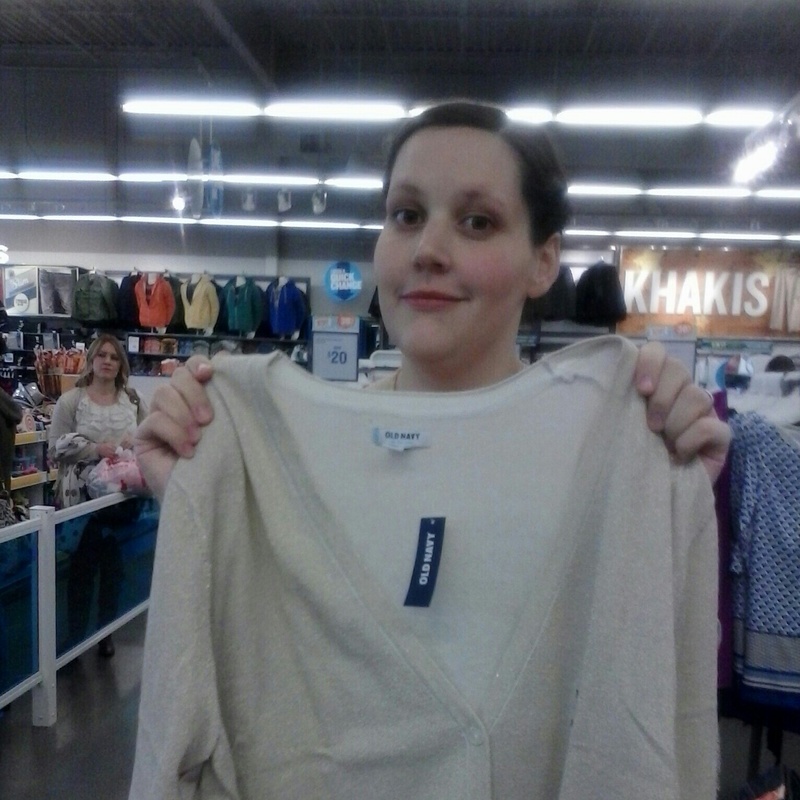 Thankfully shortly after retiring my sweater I was offered a wonderful opportunity from Crowdtap and Old Navy. They offered me and a friend a free sweater just to review it for them! I was thrilled to be chosen for it! 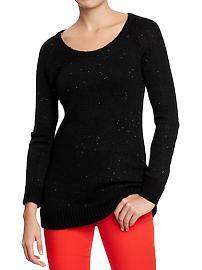 I love sweaters, but I am so picky, so to be able to choose any sweater in the store no matter the price was awesome. 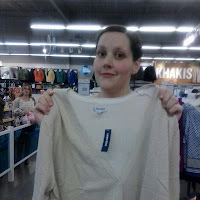 I rounded up a friend of mine and we headed out to the nearest Old Navy. We were impressed by their selection of wool coats the second we walked through the door, and wished we had the money to get a few! SO CUTE! We bypassed them as quickly as possibly and headed to the sweater section. The fun was about to begin! The selection was pretty big, though I didn't see a few of the ones I had been swooning over online. We spent a few minutes combing the racks, picking out sweaters to try on. We ended up with about four each to try on. Once we had made some selections we headed straight to the dressing rooms. I love how the new store design puts them right in the center of the stores! Makes it even easier to go grab more to try on. 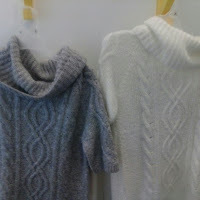 We each tried on our sweaters, coming out to model them for each other as we went. Soon it was down to a few favorites each. 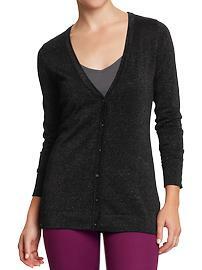 Toni Loved the cardigans, and was torn between the creamish shimmery one she went with, and a really soft black one. I was torn between one of two cowl neck sweaters. 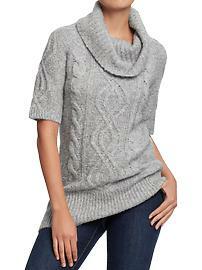 I loved the length, style, and sleeves on it, just wasn't sure if I wanted to go for the cream or the grey. We contemplated our choices as we checked out their jewelry and accessories! I was so impressed by the quantity and price of all of it. i loved that they sorted it by color so you could quickly find just the right accessories for your outfit! I hope they do an accessory sample and share in the future! Once we had decided on our selection we went to check out. The process was easy and all the ladies were asking about crowdtap! Who doesn't love sweaters? Especially when they are free! Me being sassy in my fabulous sweater! LOL! I ultimately chose the grey sweater. I love it and have worn it many times already, to great reviews. It is soft, has a beautiful chunky pattern, a lovely color, and has the half sleeves that I so loved in my last sweater! I wish I could go back and purchase it in every color! it is fantastic, and well worth the price! I know I will get a ton of wear out of it! I am so thankful for the opportunity to try out Old Navy's sweaters and I can't wait to do more sample and shares in the future! 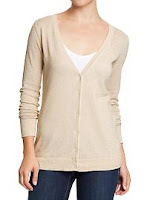 Bonus: Old Navy is having a sale on all their sweaters this weekend! Go check it out and grab some for yourself! You won't regret it! I love your choice--it looks great on you! Such a cute picture of you!